It’s easy to choose a free tool when it comes to agile marketing project management. Yet if you use Trello in its original form, it’s probably doing more harm than good when it comes to your transition into agile marketing. A few months back, I enjoyed my experience at the HSMAI Digital Marketing Strategy Conference. The day kicked off with the keynote speaker singing the praises of agile marketing. He then boasted that the software tool his team uses for an agile marketing workplace is Trello. I groaned out loud. I couldn’t—nay, didn’t bother to—contain my annoyance. Sure, Trello is free. But it’s definitely not an agile marketing tool. And before you grab your metaphorical torches and pitchforks, let me argue my case. 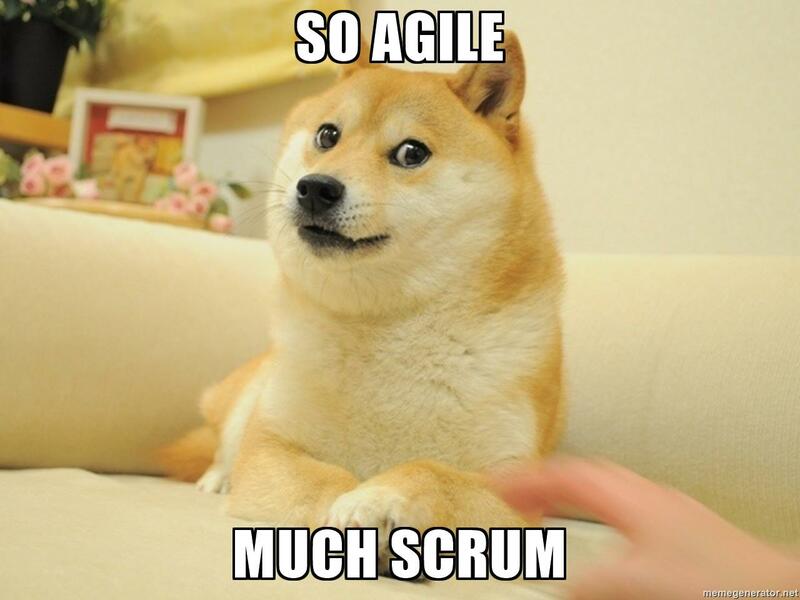 I’m just going to give you the bare bones on agile marketing. There are a lot of bad explanations out there, so turn to TechTarget for a more thorough explanation. Agile marketing is a workplace lifestyle change where the team focuses on transparency, responsiveness and cross-collaboration to get the job done. Through the agile marketing method, the team breaks a project down together during a sprint planning meeting with the mindset that the entire team is responsible for completing the project on time. Each member takes on steps of the projects based on their availability and skills, then estimates the duration to complete each step during a set period of time called a sprint. The team regularly meets at a daily scrum to discuss project status as well as brainstorm solutions to challenges stalling or could potentially stall progress. A sprint retrospective meeting is held once the sprint ends to review team progress as well as the impact of completed projects over time. Agile marketing isn’t an original idea. Its concept borrows from agile development methodologies. Many marketing teams found the need for agile marketing based on how rapidly marketing—especially digital marketing—changes. Think I’m explaining it all wrong? I could be. I’m merely describing how I learned agile marketing process from my professional experiences. 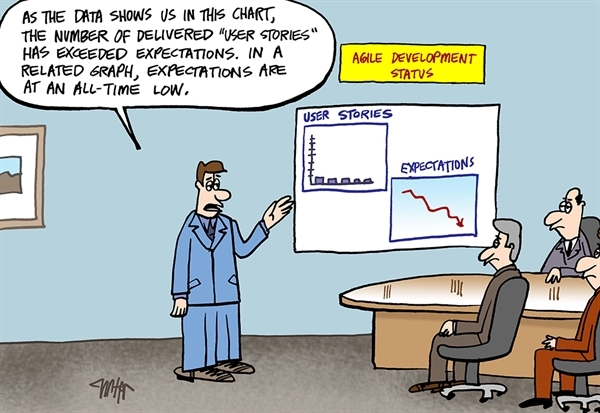 Not many teams actually implement agile marketing correctly into their practices. But that’s a blog post for another day. If you’re doing agile marketing, you need a tool that organizes projects, backlogs and tasks. Guess what? You need an agile marketing tool. Fortunately, many agile marketing tools let you test out the software for at least two weeks (if not for more than a month) to see if it fits the flow for your team’s needs. It’s a pretty standard practice for all forms of software products. Yet many companies don’t make full use out of this grace period. They immediately jump on the cheap option. What agile marketing tool can our team use for free? The answer? None. At least what I can find. 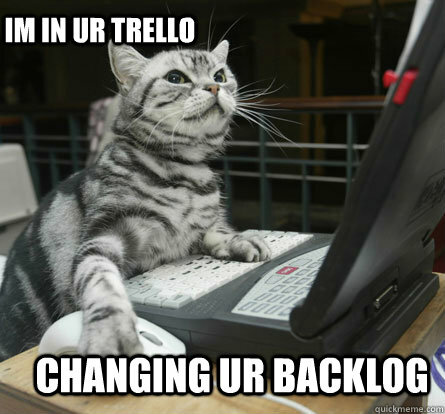 Trello isn’t an agile marketing tool. It’s a project management tool being poorly manipulated for supposed agile marketing practices that quickly go south. A project management tool is software that allows you to manage projects by tasks across teams. Can you do that on Trello? Sort of. You can make Trello do these tasks—if you know the workaround steps or consult the help page all the time. The Trello solution tends to be color-coding any and everything. It’s just not intuitive or originally intended for the agile marketing method. A big mistake many companies make when transitioning to agile marketing is (unknowingly) doing it halfway. And that often starts by choosing the wrong software. You must commit to an agile marketing tool that lets your team fully thrive within the agile marketing method. If the tool limits the ease of executing agile marketing practices, then corners get cut—until it brings your team back to where you started. There’s nothing wrong with practicing project management on Trello. In fact, more and more agile marketing tools easily integrate with Trello so that when you’re ready to take that big step, you can easily integrate your team’s current and past progress. If your team is ready for the next step—and it pains me to say this—there is a way to convert Trello into a legit agile marketing tool. There’s a third-party extension called Scrum for Trello that adds in the intuitive features of agile marketing software (such as story points, progress bars and time spent) into the project management Trello experience. Trello is only useful for agile marketing if and only if you install and integrate the Scrum for Trello extension on the first day of switching to agile marketing. The truth still is that most agile marketing teams choosing Trello do not download this extension pack. Moral of the story? Either transform Trello into a 100% agile marketing tool with extension packs or select an agile marketing tool designed for agile marketing practices. I think you know which one I recommend. Do you agree? Is Trello a project management tool or an agile marketing tool? Share your thoughts and strategies in the comments section below. Are Split Infinitives Grammatically Correct?